On this day in hockey history… 1997 — In a 6-4 victory over the Vancouver Canucks, Pittsburgh Penguins’ Mario Lemieux scores his 600th NHL goal – the first player to do so while playing for just one team. 2003 — While scoring a natural hat trick, Jaromir Jagr scores his 500th NHL goal in a Washington Capitals 5-1 win over the Tampa Bay Lightning. 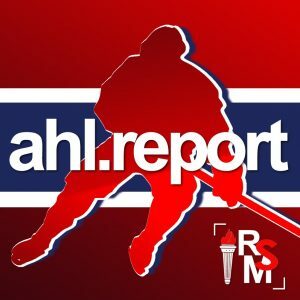 Stay informed with AHL Report Headlines, everything you need to know in one convenient location. Got a tip? 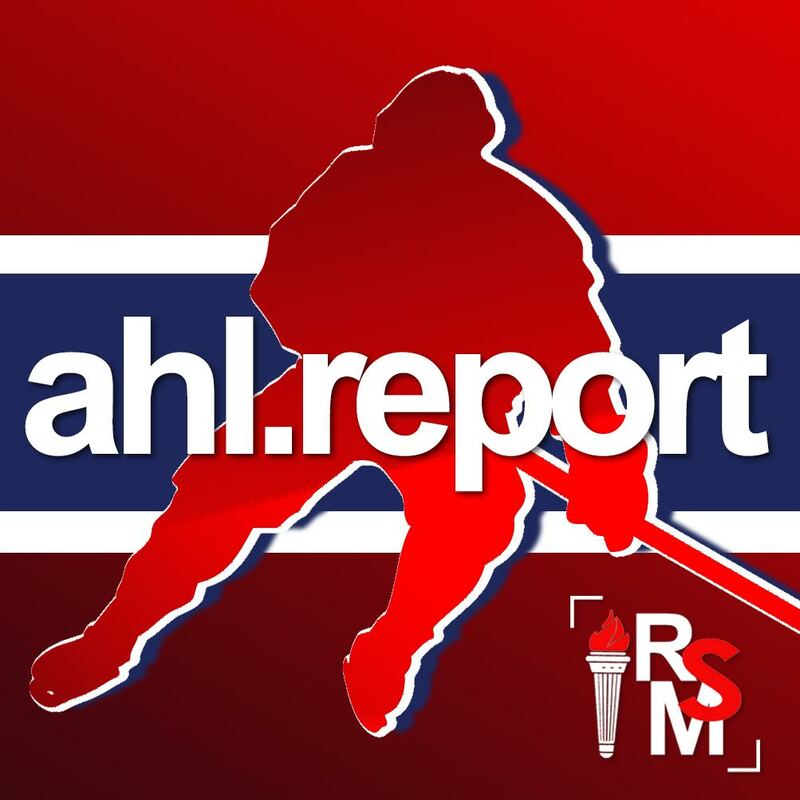 Send us an email: info@allhabs.net or tweet us: @TheAHLReport ! Rochester Americans rookie C.J. 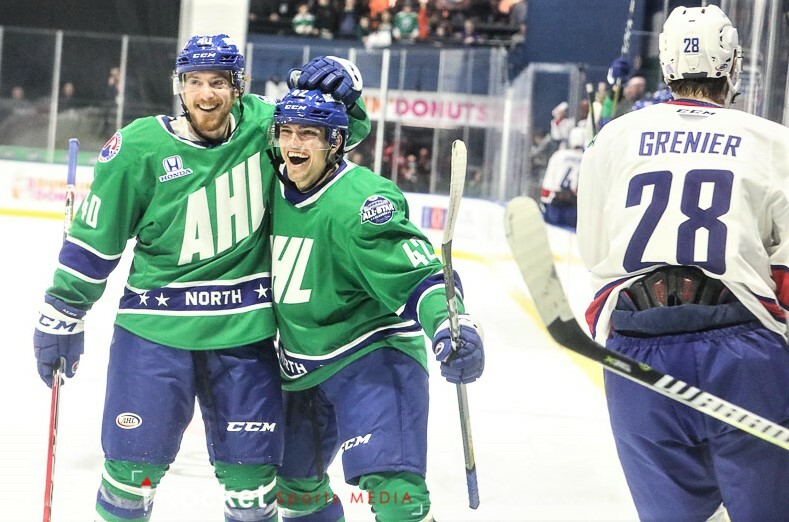 Smith scored the only goal of the championship game as the North Division captured the 2018 AHL All-Star Challenge title with a 1-0 win over the Pacific Division at the Adirondack Bank Center at the Utica Memorial Auditorium on Monday night. Smith finished the night with three goals and two assists, earning 2018 AHL All-Star Challenge Most Valuable Player honors. Syracuse Crunch rookie Mitchell Stephens chipped in two goals and three assists, Belleville Senators forward Gabriel Gagne tallied a goal and three assists and Utica Comets forward Reid Boucher scored three times on the night for the North Division, which was also led by the goaltending of Rochester’s Linus Ullmark and Utica’s Thatcher Demko. The Columbus Blue Jackets acquired veteran goaltender Jeff Zatkoff via trade from the Los Angeles Kings in exchange for future considerations. Zatkoff has been assigned to the AHL’s Cleveland Monsters. The Columbus Blue Jackets signed veteran center Nathan Gerbe to a two-way contract for the remainder of the 2017-18 season, and will place Gerbe on waivers for the purpose of assignment to the AHL’s Cleveland Monsters. Gerbe has played 19 games for Geneve Servette HC in the Swiss NLA this season, posting two goals and five assists. The Arizona Coyotes acquired defenseman John Ramage from the Columbus Blue Jackets in exchange for future considerations. In 33 games with the AHL’s Cleveland Monsters this season, Ramage has tallied two goals and seven assists for nine points. The Dallas Stars acquired defenseman Andrew O’Brien from the Nashville Predators in exchange for forward Mark McNeill. In addition, the Texas Stars acquired forward Tyler Kelleher from the Milwaukee Admirals for future considerations. O’Brien has recorded three assists in 21 AHL games for Milwaukee this season. McNeill has tallied five goals and one assist in 18 AHL games with Texas this season. The Tampa Bay Lightning acquired former St. John’s IceCaps goaltender Eddie Pasquale from the Edmonton Oilers in exchange for future considerations. Pasquale has appeared in 16 games with Bakersfield this season, going 6-5-4 with a 2.60 goals-against average, a .910 save percentage and one shutout. Additionally, the Syracuse Crunch traded forward Ty Loney and goaltender Nick Riopel to the Bakersfield Condors for future considerations. The American Hockey League announced that Stockton Heat forward Spencer Foo was selected as the CCM/AHL Player of the Week for the period ending Jan. 28, 2018. Foo recorded three goals and two assists for five points in Stockton’s two-game Pacific Division showdown in Cedar Park last week. Utica Comets forward Reid Boucher, the CCM/AHL Player of the Month, tallied nine goals and five assists for 14 points in 11 games during January. Syracuse Crunch forward Mitchell Stephens, the CCM/AHL Rookie of the Month, registered eight goals – including three game-winners – and six assists for 14 points in 12 games for Syracuse in January. Toronto Marlies goaltender Garret Sparks, the CCM/AHL Goaltender of the Month, was 5-0-1 in six starts during January, allowing just six goals on 177 shots for a 0.98 goals-against average, a .966 save percentage and two shutouts. Joseph Whalen is student at Memorial University of Newfoundland. In the 2016-17 season he covered the St. John's IceCaps with the AHL Report. This season he is covering the Belleville Senators.